WHO: Everyone seems to insist on calling them "horny toads", despite the fact that they’re lizards. Gentle little dinosaur measures up to 5” in length. Name derives from a crown of fearsome horns on the head and down the back. When it comes to outfit choice these guys like to blend in - a lot of beige happening. Contrary to popular belief the desert horned lizard does not shoot blood from its eyes - that trait is reserved for other horned lizards. They sink themselves up to their neck in soft sand and wait for unsuspecting invertebrates; ants are they’re favorite. When approached aggressively, they puff themselves up with air, similar to the way a Chuckwalla does. This sweet soul came to check out the house today. 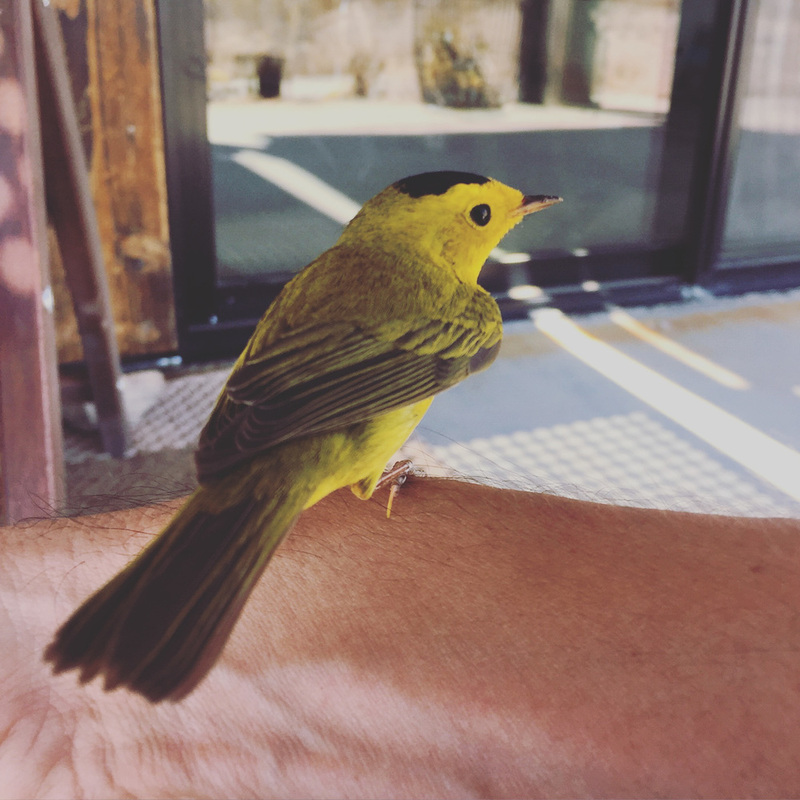 Had a little bump into the glass but we sat together until he felt like flying again. Heart melted. NATURE UPDATE: High five to the Chuckwalla. WHO: Common chuckwalla (Sauromalus after). Family: Iguanidae. Genus: Sauromalus. The name chuckwalla is derived from the Shoshone word "tcaxxwal" or Cahuilla "caxwal", transcribed by Spaniards as "chacahuala". Or you could just call them Pretty Dang Big Lizard. WHY THEY'RE AWESOME: - Measures around 20” in length. Pretty wide despite all the push ups they do. - Providing they don't get in with the wrong crowd, chuckwallas can live to be over 25 years old. - Chuckwallas prefer lava flows and rocky areas up to 4,500 feet. - Primarily herbivorous, chuckwallas prefer yellow flowers, such as those of the brittlebush. That being said, occasional insects can make for a good late night snack. - Harmless to humans. When threatened a chuckwalla will wedge itself into a tight rock crevice and inflate its lungs in order to entrench itself. - Being ectothermic ('cold-blooded', although that term is not exactly true) these guys like it hot; chuckwallas don’t get out of bed for anything under 90°F. WHY IT’S AWESOME: - Grows up to a couple of inches long and is rather dashing in its red and black super suit. - Loves to chow down on some springtime Brittlebush flowers. Often a single bush will temporarily be home to several dozen beetles dangling from the flower stalks. - The “blister” in the name refers to the beetle’s ability to pop a blood vessel in the joint of a leg, which causes the insect’s yellowish blood to ooze out. The blood is not only bad smelling, it’s capable of causing skin to blister painfully. - Females refuse to cooperate with males smaller than they are but once convinced by a suitable bug-stud, they will often mate for more than 24 hours. As they get down to it, she drags the male around, still feeding on brittle bush. Priorities! - Once eggs are hatched into beetle grubs, they burrow through the soil in search of a cluster of grasshopper eggs to feast on. Yum! A wonderful shot of the 1.8 million acres of newly designated national monuments. If you look close you'll see our very own Wonder Valley borders the Mojave Trails National Monument. Neat! Audio from Wonder Valley, California.